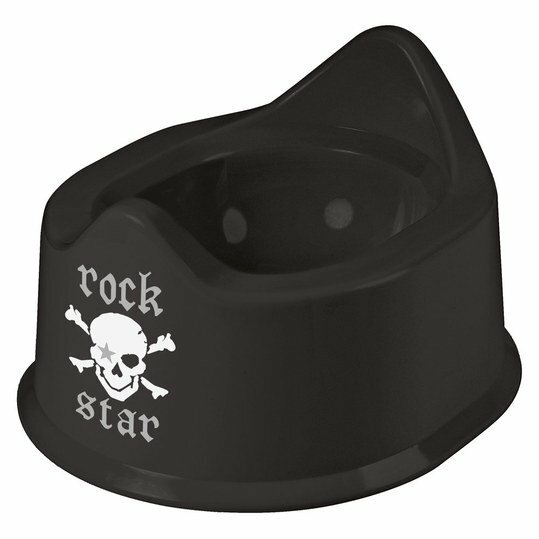 This baby potty from Rock Star Baby is just right for the real rocker babies! With cool pirate print and in deep black. The ideal seat height offers your treasure a high seating comfort and secure hold.